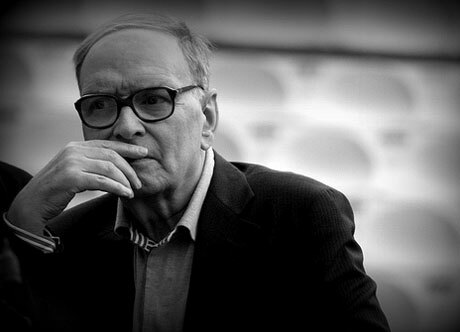 Ennio Morricone's iconic spaghetti western scores remain an influential a touchstone for everyone from Danger Mouse to Quentin Tarantino, but the revered film composer has landed in a spot of legal trouble in the form of a lawsuit over performance credits. The suit was filed in Rome by Maria Rucher. She claims that her father, Pino Rucher, played guitar on the soundtracks of Sergio Leone's 1960s classics A Fistful of Dollars, For a Few Dollars More and The Good, the Bad and the Ugly, but wasn't given proper credit. According to the Guardian/La Repubblica, Maria initially approached guitarists Enrico Ciacci, Alessandro Alessandroni and Bruno Battisti D'Amario about their contributions to the films. The guitarists reportedly disagreed over who had played what, and Morricone then apparently denied that Pino Rucher had played on any on the scores. Now, Maria Rucher has responded by suing Morricone, along with the three guitarists, for 200,000 euros each ($262,266 Canadian). It may be difficult to determine exactly what Pino Rucher played, since the jazz guitarist died in 1996. The case will go to court on May 23, and Morricone is reportedly expected to give evidence.